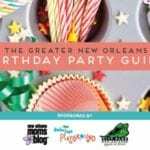 Whether you love simple birthdays at home with a few special treats and touches OR pride yourself on Pinterest style birthday extravaganzas at the finest birthday party venues in New Orleans, we are certain that this guide to birthday parties in New Orleans will help you plan the ideal party for you and your family. 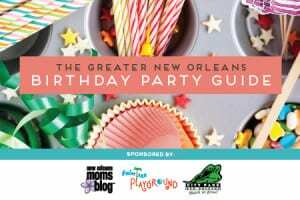 Thank you to our premier sponsors New Orleans City Park and Little Pnuts as well as all of the other amazing local businesses featured in this guide. We offer birthday party packages that make throwing the party easy! Let the talented staff at New Orleans City Park do all the work. And don’t forget: birthday parties here are great for kids as well as the kids-at-heart! 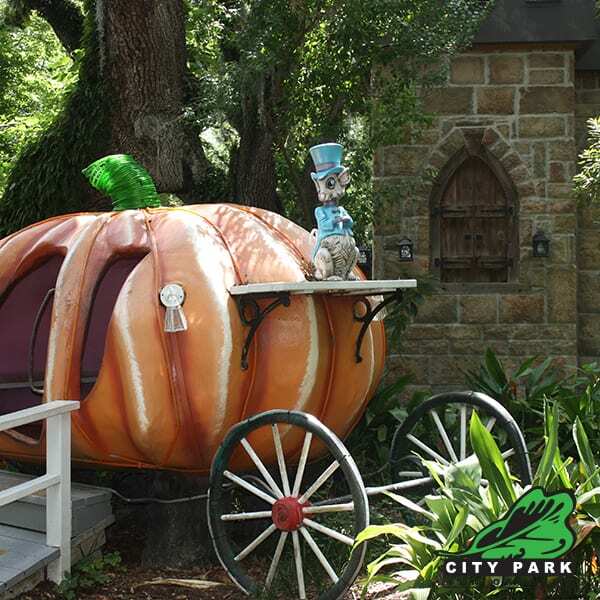 At New Orleans City Park we have something for everyone! We offer various flexible time slots for any party you want to throw. We offer fun and affordable parties for children of all ages. With venues all over our 1300 acres, we know your party will be a hit! 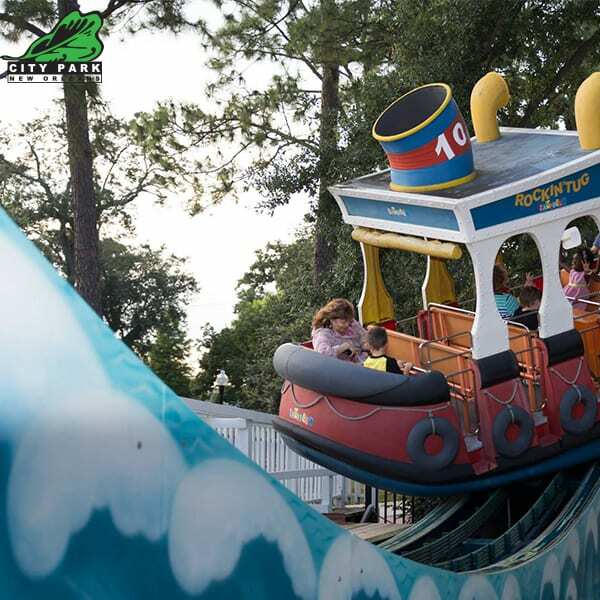 Carousel Gardens Amusement Park is the perfect place for your child’s next birthday party. 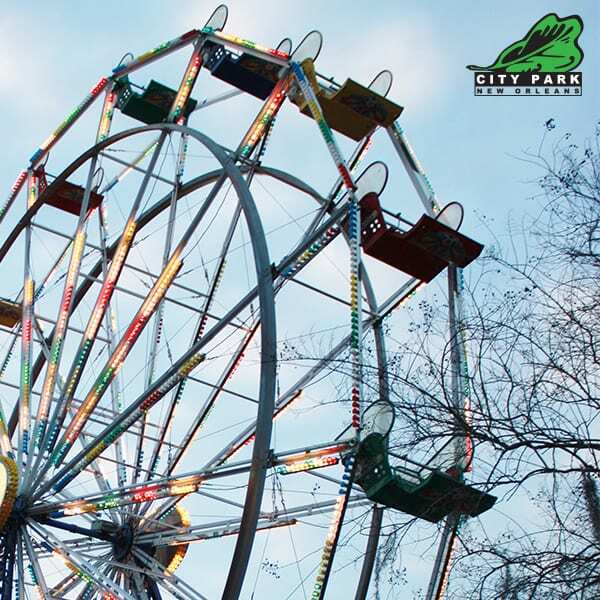 You can choose between private access to a single or multiple rides in the Park, and have the choice of booking a private party house, or indoor or outdoor locations. Storyland Castle, Pinocchio’s Whale, and our newest birthday party area: The Little Red School House. We also have two beautiful outdoor gazebos. City Putt in City Park is the only mini golf facility in the metro area. We offer two 18-hole courses where you or your child can show off their skills. Our Tennis facility and the Historic Train Garden in the Botanical Garden are also top notch for birthday parties in City Park. Your Favorite All Things Birthday Shoppe! Little Pnuts has the perfect gifts for your Little Pnuts. Featuring the best selection of eco-friendly, natural and sustainably made toys and games, from brands like HABA, Hape, Janod, LEGO, Seedling, Djeco, Gamewright, BlueOrange, Iello, Asmodee, Crazy Aaron’s and more. Our toys are curated to engage your whole family and chosen to encourage learning through play. We have toys, games, books, crafts, activities, science kits, building toys & more, for every age, including party games for adults. 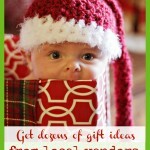 Little Pnuts offers FREE Gift Wrapping, Gift Cards, Custom Ordering and a Gift Registry. We also provide an online store for those last minute gifts, you simply purchase online and pick up wrapped & ready – perfect for when you’re short on time. Need help with planning the perfect party? We can do that too, we have the perfect party supplies from Meri Meri and helium balloons including gigantic numbers and 36” confetti balloons. We’ll help you choose the perfect theme and create matching goodie bags to make sure you have the “Pinterest” party everyone will envy. Come on in and let us help you find the perfect gifts and more. Located at 209 Harrison Ave in Lakeview and coming soon an all new, bigger, shinier store late Fall 2018. We’ve got it all put together for you! Create your own custom birthday party at the Y at any one of our facilities! Package options include youth sports and activities, a rock wall, bounce houses, and pool parties! Parties include party coordinator to help make the day great and some awesome party favors. Cake, ice cream, and decorations may be brought in. Parties are two hours long with additional set up and take down time (additional time may be added). Pool parties include lifeguards as well as a designated outdoor party area. Party options vary by location. Each YMCA Branch handles its own schedule and reservations. Have a Blast! Throw a Blow Out! Do it up Big Time! 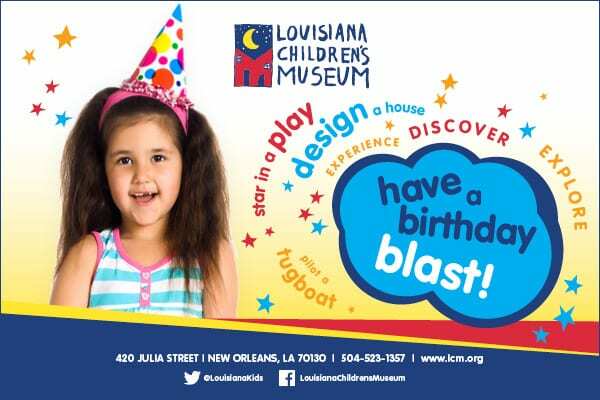 Kids love parties at the Louisiana Children’s Museum because they’re fun! Parents love our parties because they are easy to plan and a great value. Choose from the LCM’s three birthday party packages and planning your party will be a piece of cake! 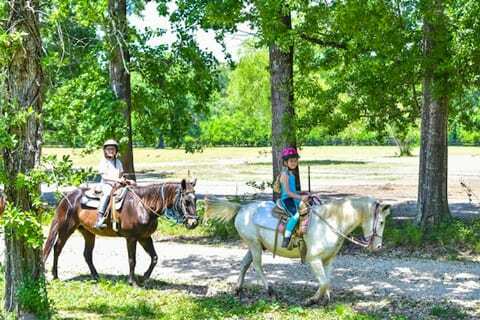 Splendor Farms has gentle horses to ride for ages 3 and up, fishing (bait & equipment provided), visiting with the Petting Farm animals, and swimming for $35.00 per child. Birthdays can be celebrated at the farm on Saturdays or Sundays from 11:30 a.m. to 2:30 p.m. There is a minimum of 5 children needed for your party. Sleepover parties are also available by renting the Guest Bunkhouse. The Guest Bunkhouse can sleep as many as 8 comfortably, and has a full kitchen (makes breakfast & lunch easy!) There are area restaurants for dinner within 3-4 miles of the farm. We also offer bocce, horseshoes & volleyball. Contact us for more information and to book your party through email: [email protected]. See you at the barn! 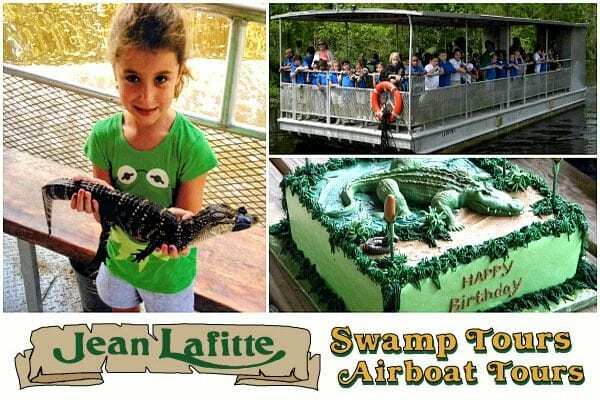 Bring your little adventurers to Jean Lafitte Swamp Tour for an exciting and unique birthday down at the bayou 25 minutes away from New Orleans. Venture deep into Louisiana’s Cajun Country on a spacious and comfortable pontoon boat with our expert tour guides born and raised in the area. Discover the swamp’s beauty through its incredible wildlife and plant life. Then listen to our guides share famous tales about pirates and Native Americans on their exploration through the bayou. After your private tour, enjoy a celebration on our large, sheltered outdoor party pavilion. You and your group can indulge in your choice of food, refreshments, and entertainment for some extra fun and flexibility. 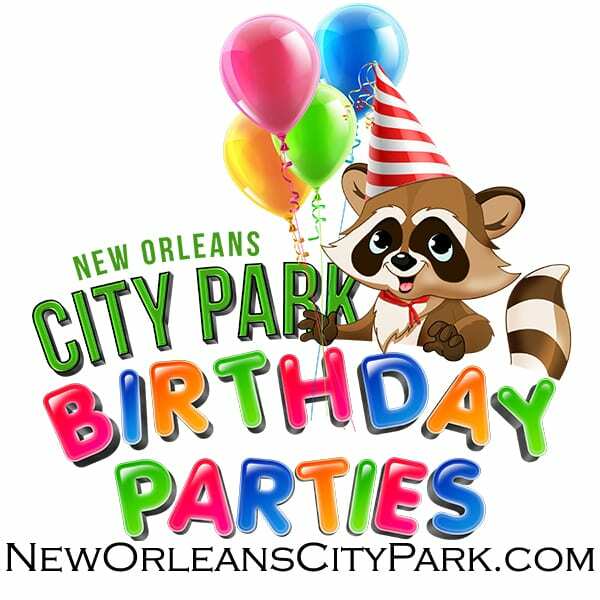 Contact us to start planning your Cajun-style birthday bash at the swamp today! Looking to make this year’s birthday party super magical? 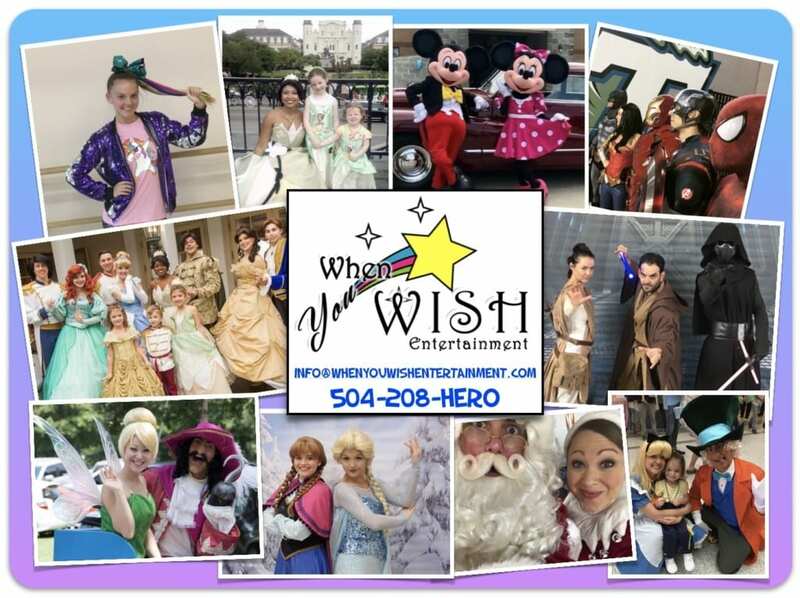 When You Wish Entertainment provides the most professional and authentic princesses, superheroes and animated characters in the greater New Orleans area. Make your next birthday party everything your child dreams of and more! 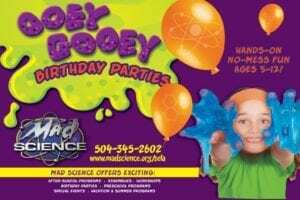 Voted New Orleans #1 Birthday Party Entertainer 4 years in a row, we have a party packages that fit your every need and add-ons to boost the experience! From the moment we arrive until the minute we leave, the children will be entertained with personal interactions, activities and photo ops you won’t find in any major theme park. Why wait hours in a line to meet that special character for a few seconds when we can bring the magic to you? Contact us today to book your appearance! 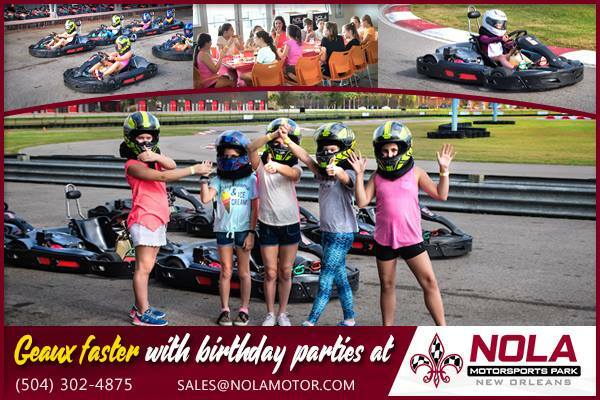 Hit the track with birthday party packages at NOLA Motorsports Park! NOLA Motorsports Park features one of the largest outdoor go kart facilities in North America! The 2 hour party packages include 2 reserved karting senior heats (60″ or above) for up to 10 people or 2 reserved karting junior heats (52″ to 59″) for up to 9 people, reserved tables for group in upstairs Kart Cafe, 3 pizzas and lemonade and water. Additional catering options are available. We also have inflatable waterslides and 2 seater go karts for riders 42″ and taller. Call us today to schedule your party. We put the ART in pARTy! Do you have a crafty kid looking for a unique birthday? 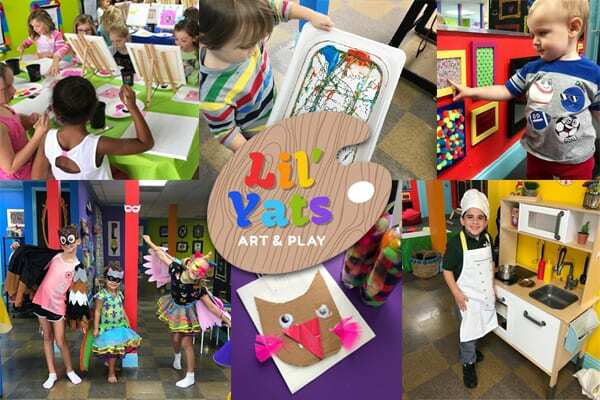 Lil’ Yats Art & Play is your answer. You pick the theme, and we’ll design crafts to make your event unique. From princesses to slime, it’s always a good time. Our Art & Play Studio is a safe and interactive environment for your Lil’ Yat to celebrate their day and explore their imagination! 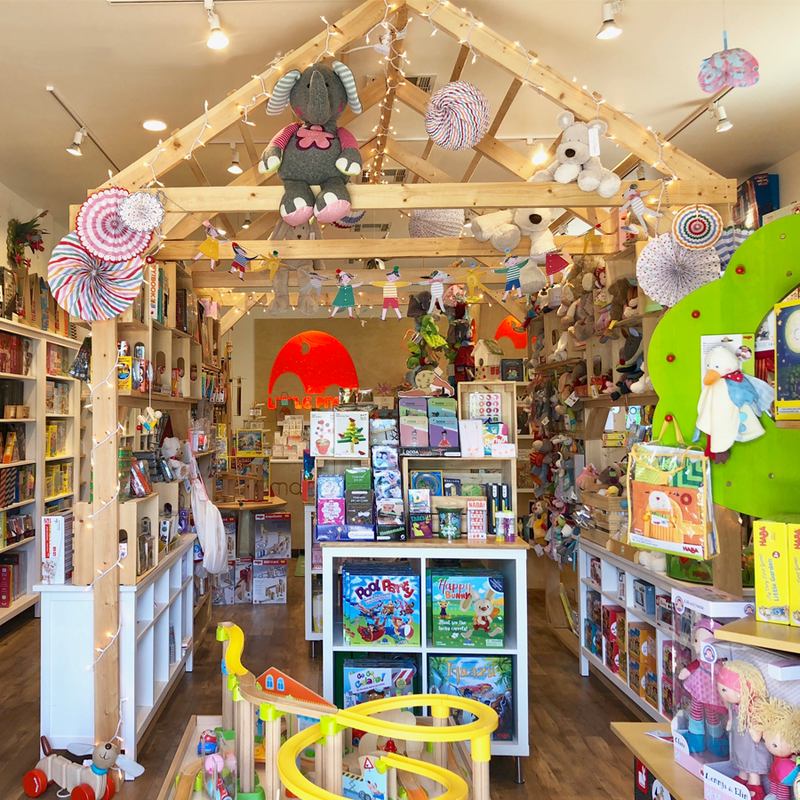 Features include full art studio, a puppet theater, dress-up area, play kitchen, discovery bin, light table, chalkboard, busy wall and outdoor play. Paint and canvas projects can always be added on. We can accommodate 25+ kids. Great for ALL ages! Since birthdays only happen once a year, add wonder and excitement to your child’s birthday party! 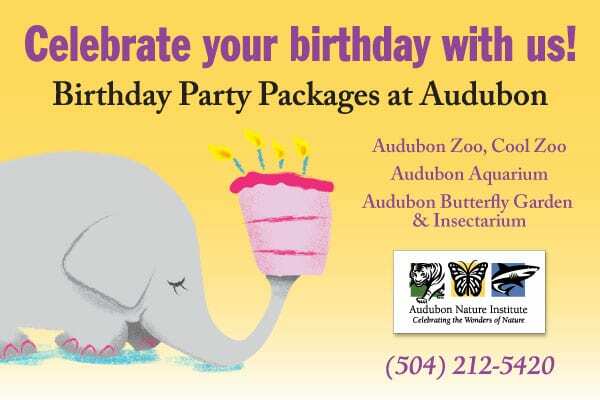 Celebrate their special day at any of Audubon’s fun-tastic attractions: Audubon Zoo, Cool Zoo, Audubon Aquarium of the Americas or Audubon Butterfly Garden and Insectarium! 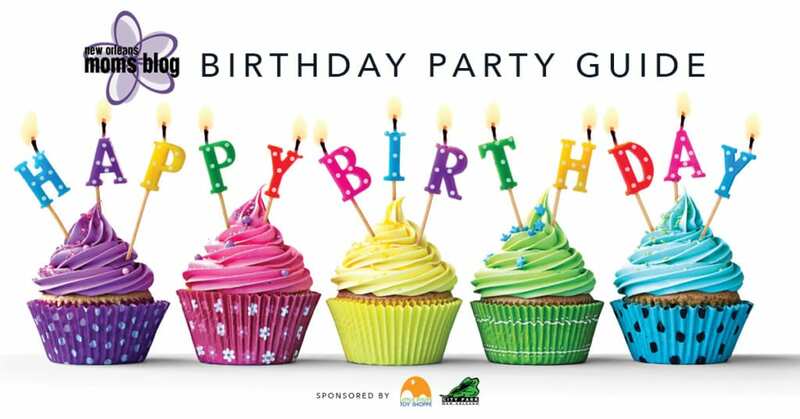 Kid-friendly menus (plus great adult offerings), spectacular venues with specially designed party areas, and dedicated staff to ensure a great day, an Audubon Birthday Party is the gateway to a Perfect Birthday Party and magical memories to last a life-time! An Awesome Birthday Bash at The Little Gym gives your birthday kid and their friends the full run of the facility, filling the celebration with instructor-led games, music, and fun LEGO® Juniors or LEGO DUPLO® building activities created especially for your birthday boy or girl. And you don’t have to worry about setup or cleanup, making it totally awesome for you too! Each party includes an hour and a half and includes: a qualified birthday leader plus an assistant, all the set-up and clean-up, paper goods (plates, forks, cups, napkins), drinks & ice cream for each child in the party room, a gift registry (if you open your presents while you’re with us), a The Little Gym t-shirt for the Birthday Child, and invitations. Luv 2 Play is newest premier indoor playground for kids of all ages! It has over 5,200 square feet of playground fun for kids and toddlers and a café area with yummy food. Luv 2 Play offers birthday parties; we have different party packages to accommodate all your party needs. We offer unlimited play time in the facility, pizza and a drink, party room and a host, game card and tons of fun. We cant wait for you to make Luv 2 Play your next party destination! 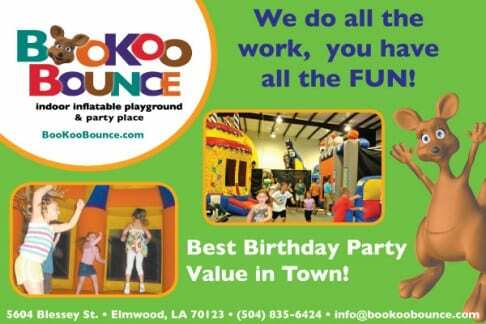 Call to book your party! Are you looking to have the most extreme party ever? Party guests can jump around at one of the largest parks in America. 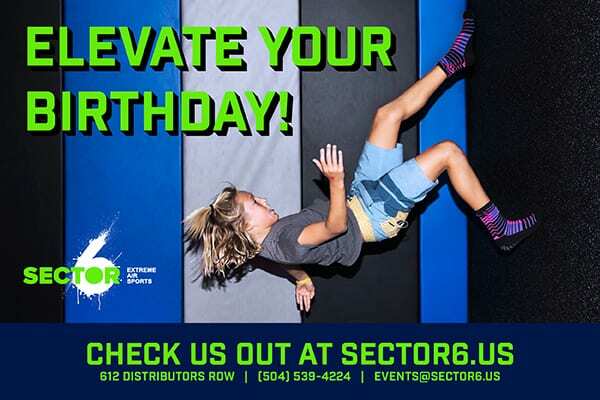 Over 12,000 square feet of connected, world-class trampolines in a 44,000 sq. ft facility. Our trampoline field features over 45 trampolines, including the famous angled wall trampolines, launching decks and a few surprises up in the ceiling to test your vertical. They can battle on the jousting beam, race through the ninja obstacle course, and practice their flips on our custom Airtrack or our foam pits! Our party packages include jump time, pizza, drinks, tableware, birthday shirt, 1-hour jump passes for each jumper (to be used on another visit), a party room, and your very own party host. You bring your jumpers and leave the rest to Sector6. 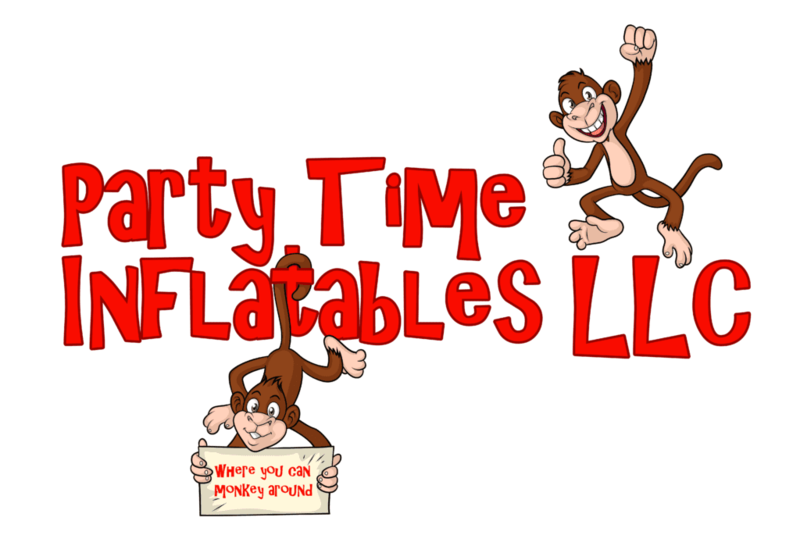 Party Time Inflatables is a family owned Kenner based business that opened their our doors June of 2017. 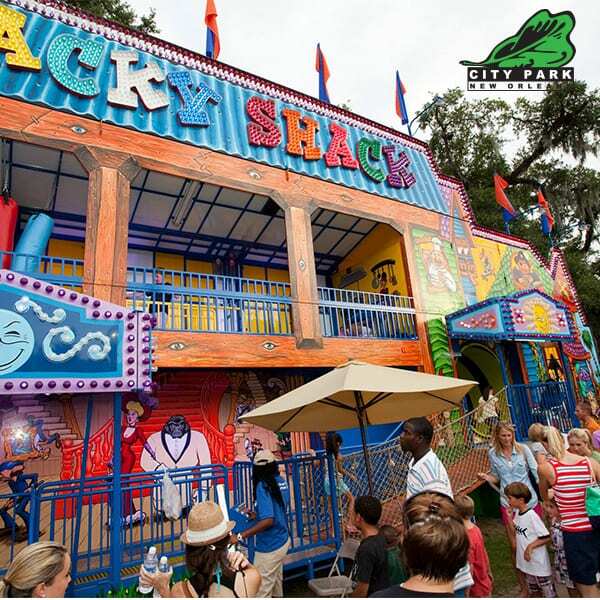 Their inflatables are cleaned and sanitized after every use and staff is courteous and respectful. Party Time has successfully completed the National Safety Council courses in First Aid & CPR and they are on the approved vendors list for all JPRD facilities. Party Time Inflatables is fully insured and is currently the ONLY inflatable company in Louisiana to offer a fail/safe, safety device called Watch Dog Blower Siren. Watch Dog monitors the electricity going to the blower unit at all times. The device alerts the children and the adults immediately should the blower stop! This allows everyone to have a faster reaction time before collapse of the inflatable. The Party Time Inflatables team does not believe a price can be put on safety, which is why they offer the Watch Dog FREE of charge with every unit rented. Have ponies at your party! We bring them to you or you can visit us at the barn! Pony Tales has been making the kids of the Greater New Orleans area happy since 1983. Our sweet-natured and well-groomed ponies will bring smiles to the faces of the children at your party. Pony rides at your event will provide the children with memories of happiness and enjoyment, laughter and fun. Pony Tales is a family run and owned professional business, not a backyard hobby, and we pride ourselves on our safety and professionalism. Our ponies are well-trained with great dispositions and we have a competent, professional staff. In addition, our ponies are considered part of our family. We care for their comfort and safety just as we do for your kids, taking care not to over work or over load them. 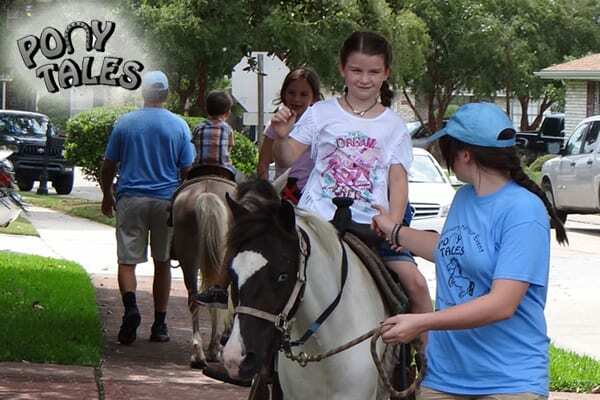 Pony rides are a wonderful addition to birthday parties, fairs, picnics, church events, summer camps, daycares, grand openings, family reunions, farmer’s markets and more! Throw your child the best party ever at Sky Zone! Sky Zone makes it easy – just bring the kids and we do the rest! Your kids and their friends will experience the WOW of jumping, flying and flipping on our wall-to-wall trampoline courts. Your party can flip into our Foam Zone (filled with 10,000 foam cubes), dunk like a pro on SkySlam, battle with SkyJoust, compete on our SkyHoops, climb our Free Climb wall, or even race your friends on our Warrior Course. Your party will have the whole package: food, drink, a private party room and host, invitations, and more! Sky Zone has now added Hershey Ice Cream Cakes that are included in our top 2 packages! If you choose to bring your own cake, we can substitute more delicious pizza in its place! 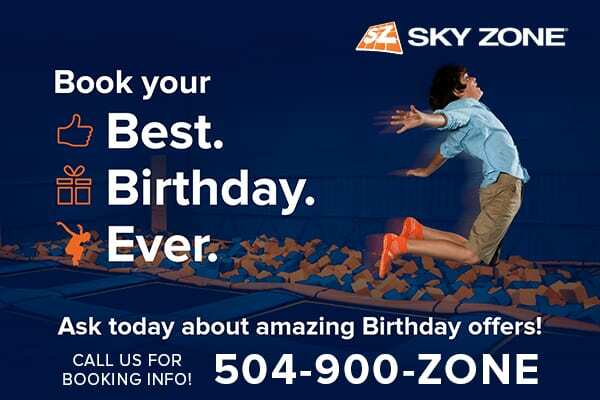 When it’s time to plan your special day, book your birthday party in the sky at Sky Zone Metairie. 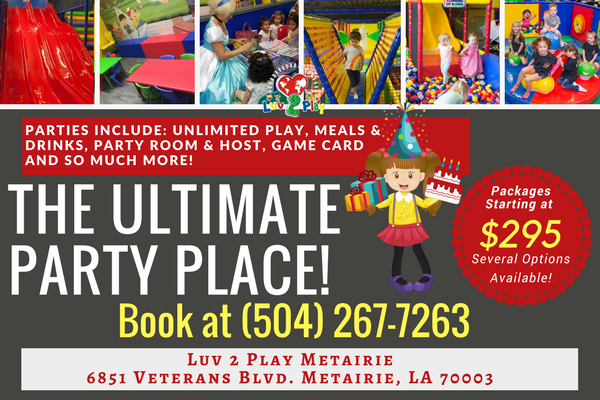 Why have your Party at Laser Tag of Metairie? Because birthday parties have never been easier. Kids (and adults) love Laser Tag! You pick the party date and package, and we do the rest. Our all-inclusive packages make it so the only thing you’re required to bring is the Birthday Child. Your child gets a day of special, spectacular fun with their friends eating cupcakes and having a blast. You get to take a deep breath and rest assured knowing it’s all taken care of. 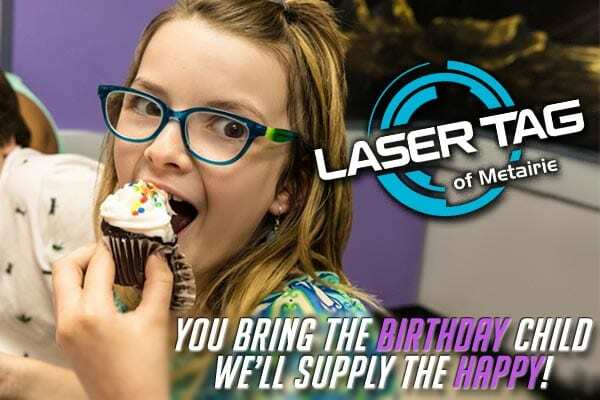 What better way to really enjoy your child’s party than to play Laser tag WITH your child…why should the kids have all the fun?! If you’ve never been by- come stop in for a tour, we would love to show you why we’re Metairie’s award-winning Family Fun Center. The sign on the building may say Laser Tag, but we offer fun for the whole family. Spin Zone Bumper cars, Rollerball Bowling, Lazer Frenzy Laser Maze, over 80 arcade games- we have it all! With a variety of activities, delicious food, and award-winning entertainment, you’ll always find a new way to enjoy yourself at Laser tag of Metairie. 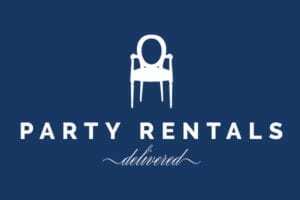 Party Rentals Delivered brings the party to your door! We deliver impeccably maintained party supplies such as tables, chairs, linens, glassware and more for every style event. We have been helping people in the greater New Orleans area throw fabulous events since 2013! The party has been planned, now you need a special custom birthday outfit for your little one! Nolafionnah Children’s Boutique specializes in custom party dresses and outfits that can be worn again and again! We can match color schemes or specific themes. 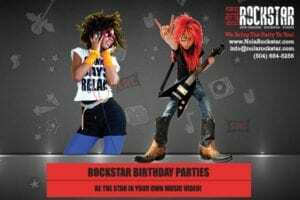 Host a ROCKSTAR birthday party! Let your child be the star in their very own music video! We bring the PARTY to you and will turn your living room (or any venue) into a Hollywood studio complete with a green screen, lighting and sound! Enter the French Library and you are transported to the joie de vivre and sophistication of Paris. An elegant and unique space offering a “salon de thé” for children’s tea parties, bridal showers, rehearsal dinners and engagement parties, the French Library provides a chic setting for cherished gatherings. Treat your youngster to an enchanting spa experience — made just for kids. After the pampering, celebrate a special occasion for your child by throwing a party! We specialize in creating an amazing, fun, and entertaining spa experience for all kids! Gourmet Spa Parties are designed exclusively for little girls ages 6 to 13 to create a delightful, fun party with a fresh delicious twist. Moms have always had their chance to be pampered, now kids can too! 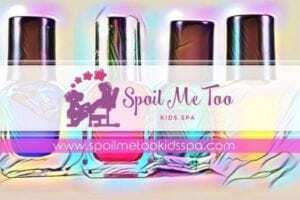 Book your mobile spa party today! 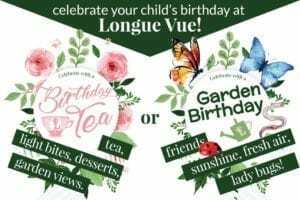 Celebrate your child’s birthday at Longue Vue with a Birthday Tea or a Garden Birthday. Birthday Tea guests enjoy beautiful garden views, tea, delicious light bites and desserts. Choose a Garden Birthday to experience outdoor fun in our interactive Discovery Garden for kids featuring garden design play, worm digging, bug and butterfly chasing, and an herb maze! No artistic talent required to make unique wool vases and bowls, fabric mosaics, batik silk pillows & scarves and more – just the desire to share a unique experience! 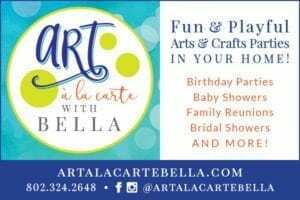 Art À La Carte with Bella will make your birthday or summer adventure a day you’re sure to remember. 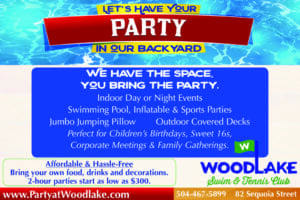 Party in our backyard at Club Woodlake! Need the perfect venue for an outdoor swimming or birthday party but you don’t have the space? 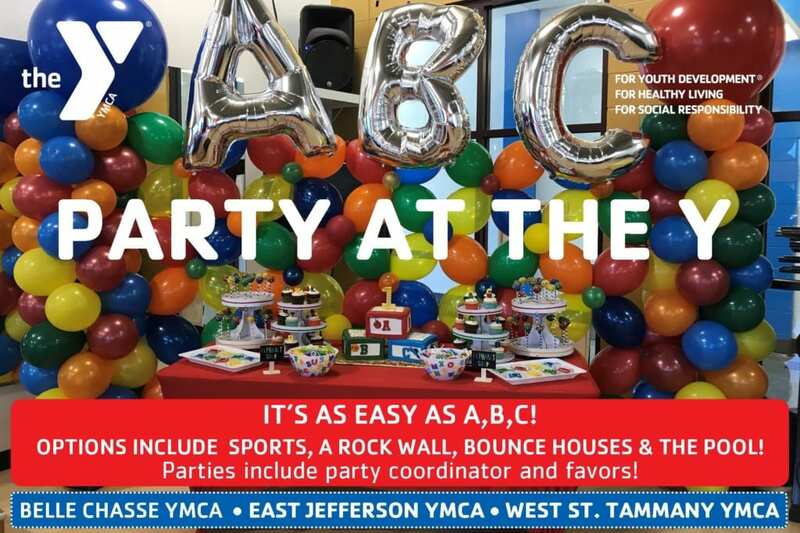 Our large swimming pool, toddler pool, Jumbo Jumping Pillow, Inflatables, covered decks and indoor event hall all create a unique space for creating the perfect party. Bring your own food, beverages and decorations, plus choose from a variety of add-on options provided at Club Woodlake. Trade your backyard for ours, and let’s throw that party. 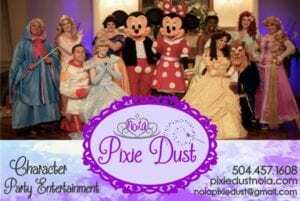 Bringing classic fairy tale characters to the New Orleans area, NOLA Pixie Dust is the highest quality entertainment that includes live singing, trained actors, and amazing costumes. Our characters are perfect additions to any themed birthday party or event. From fifteen minute meet & greets to hour long corporate events, we are more than happy to accommodate any event needing a little extra Pixie Dust. Contact us for performer availability & to secure your event date. 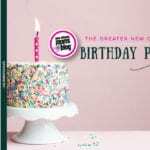 Birthday Party Etiquette: Invites, RSVPs, Gifts, Oh My! 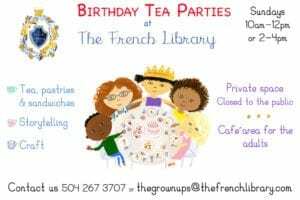 Are you looking for birthday party ideas in Baton Rouge? Check out the Red Stick Moms Blog! Are you looking for party ideas in Lafayette? Check out the Lafayette Moms Blog! Do you still need more ideas? Check out this comprehensive list of resources around town! Rentals and Parties that Come to YOU! Fun, Family, and Fireworks – Celebrate Independence Day in Crescent Park!